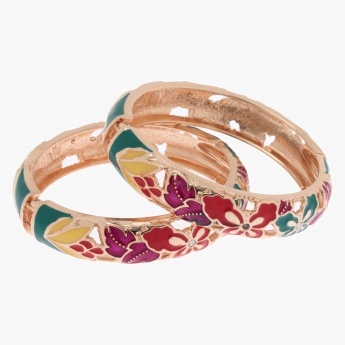 Adorn your ensemble with a touch of colours in this set of two hinged bangles. 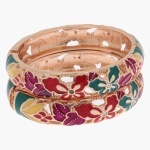 It features a wide band design in classic gold-toned finish. The multi-hued floral patterns add to its charm.